Running back Shea Dwyer ’10 became the second Wesleyan player to receive the distinction of Gagliardi Trophy finalist when the 10 players still eligible for Division III’s version of the Heisman Trophy were announced Nov. 23. In total, 26 players were nominated for the coveted award before the Gagliardi committee narrowed the choice to 10. 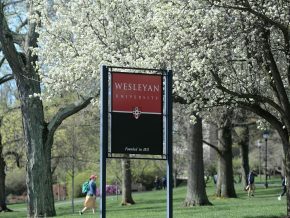 Dwyer joins Wesleyan receiver Matt Perceval ’00, who was a Gagliardi Trophy finalist during the 1999 season. To see the breakdown of the 10 Gagliardi Trophy finalists on d3football.com and find out how to become a part of the voting for the winner, click here. Dwyer, who played during the 2010 football season, was a conference leader. He paced the NESCAC in rushing yards with 1,242, a school record; set a Wesleyan record for yards in a game (255 vs. Colby); was twice named NESCAC Co-Offensive Player of the Week; and was a Gridiron Club of Greater Boston weekly Gold Helmet Award winner. He ranked fourth in NCAA Division III for rushing yards per game (155.2) and was sixth nationally among all NCAA running backs. Dwyer, who had just 692 career rushing yards coming into the 2010 campaign, scored 12 touch downs, 11 of them on the ground. He ended his career with 1,934 career rushing yards and 20 touch downs. 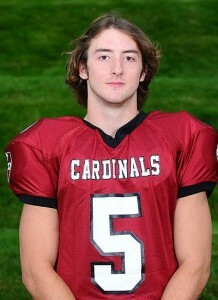 Dwyer also was named a Division II/III all-star by the New England Football Writers Association.